Vivo has launched Vivo Y21L budget smartphone in India with 4G VoLTE support at Rs. 7,490. The smartphone is now available to buy and its available in White and Grey colour variants. Vivo Y21L comes with dual-SIM card support and it runs on the company’s Funtouch OS 2.5 based on Android 5.1 Lollipop. 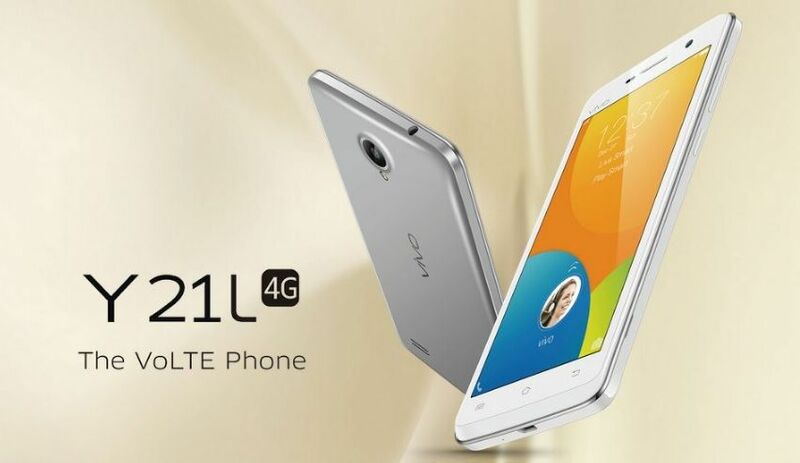 The Vivo Y21L is powered by a 1.2GHz quad-core Snapdragon 410 (MSM8916) processor coupled with 1GB of RAM. The smartphone features 5-megapixel rear camera with flash, and a 2-megapixel front-facing camera with Palm Capture and Voice Capture features, which allows you to click photos simply by showing their palm. Users can say ‘cheese’ to click pictures using Voice Capture. “We are pleased to offer the new Y21L packed with 4G VoLTE technology to our Indian customers at an affordable price of Rs 7,490. With this device, we reassure our commitment to offer quality products to our valued customers,” said Vivek Zhang, CMO, Vivo India. Vivo Y21L comes 16GB of inbuilt storage that you can expand later via microSD card (up to 128GB). Apart from 4G and VoLTE support, other connectivity options includes, Wi-Fi, Bluetooth, 3.5mm audio jack, and Micro-USB with USB OTG compatibility. The smartphone packs a 2000mAh battery, weighs in at 145 grams, and measures 130.7×66.4×9.2mm. Vivo Y21L also includes accelerometer, ambient light sensor, proximity sensor, and a magnetometer.